Following the successful introduction of the Truro & Kenwyn Neighbourhood Plan, and the previously successful process to develop a Truro Conservation Area Management Plan, there is now the opportunity for Truro to compile a ‘Local List’. This project is being undertaken jointly by Truro City Council and Truro Civic Society, with the very able professional engagement of Patrick Taylor, a conservation consultant and retired local government Conservation Officer. Patrick has as very strong connection with Truro and has undertaken a lengthy appraisal of buildings within the Conservation Area which are not listed but which, for any of several reasons, are deemed worthy of a degree of protection and future development guidance. A ‘Local List’ is a formal instrument which can be adopted by a local authority as an addition to the Neighbourhood Plan. It is an advisory instrument designed to safeguard aspects of the built heritage which are deemed to be locally valuable. This means that structures included on a Local List may be of architectural merit (but not so much so as to be listed), or may have a story or association which is locally valued, or may simply be a defining aspect of a landscape (like a farmhouse as a locally useful landmark). The process undertaken by Truro City Council and Truro Civic Society has reached the stage where a draft schedule of proposed buildings and structures for inclusion on a local list has been developed, with photographs and some short descriptions. This has been subject to some consultation at various local events towards the end of 2017. The draft schedule has now been added to the Truro Civic Society website to allow the community to have a good look and to make comments. 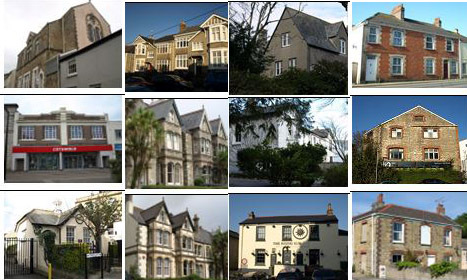 There may be buildings or structures which have been left out, others that should perhaps be removed from the draft list and for all any local information about architects, construction dates, materials or local associations would be most welcome as the better the descriptions, the more reliance can be placed on the list when dealing with planning matters. There is the facility on this page to have a look at the draft list and to comment. 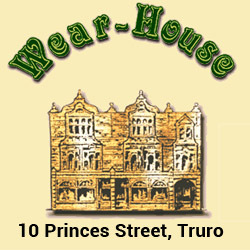 All input will be carefully considered before the final draft is agreed and put before the Truro City Council Planning Committee. 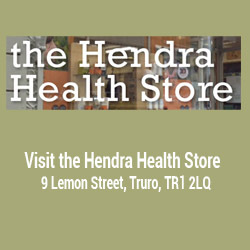 If it approves, the content will be sent on to Cornwall Council with a request to process it, so that the Truro Local List becomes a formal Policy Guidance Note to the Neighbourhood Plan. This will mean that planning officers, developers and those who, for one reason or another, have an interest in an application, can use it as a guidance tool to ensure measured and appropriate development occurs which does not materially affect the quality of the Conservation Area, whilst also not constraining the need for well-modulated change and development. Click on the street in which you are interested. The Crescent,Crescent Rd.,Harrison Ter.,Adelaide Ter.,Stratton Ter., Parkvedras Ter. I am pleased to see lovely homes such as mine on Coronation Terrace on the list. So too the signal house at the railway station. The road up here is unique along with the railings. The road is a bit of a mess and would benefit from being redone. It may also be worth mentioning all the cut throughs/ alley ways and how they came about which the locals use regularly. Very happy to participate in any consultation. Thanks for your comment – Coronation Terrace is, as you say a very fine terrace of housing. It is particularly good because by and large it has retained the repetition of windows that give a strong rhythm to such terraces. The platform carved out of the hillside on which it stands is elegant in itself, and has excellent pavement surfacing and the very distinctive railings. Even more so, there retaining wall adjacent to Station Hill and opposite the railway station includes a range of different sized advertising ‘windows’ – this is a very distinctive part of the area around the railway station and, as it is being presently managed, is attracting a good usage by advertisers – which is precisely the purpose for which it was designed in this location. The Terrace is just within the Truro Conservation Area and the owners of the various properties continue to be very good at maintaining the quality of the Terrace – including retaining the raised gardens. In looking at Coronation Terrace I think it is good to also take a look at Avondale Road, which is also a very well-looked after street of what look like early C20th houses. I think there is a job to be done to map the various opes which run around the Crescent area. As you say they add the the character and accessibility of the neighbourhood and are well used – if they weren’t they would have grown in by now. As for the opes in the town centre, Truro Civic Society is very committed to their retention. We would wish to see restraint exercised in exploiting them commercially and welcome their contribution to a pedestrian friendly town centre. Indeed, there may be one or two hidden opes which might possibly merit re-opening. Its difficult to see if it is possible but we would encourage the Council to look at this in its forthcoming revision of the Neighbourhood Plan. I hoe you’ll encourage others to take a look at the Local List. Buildings need to adapt to have an economic future. Trying to preserve everything in aspic even if this leaves swathes of empty buildings will do untold damage. We carry that of the past which we value into the future. It has a value which affects a community’s wellbeing, confidence and identity. If we are to act with integrity towards our inheritance then we need to do so in a positive spirit. Things change and functions change, as do ways of doing things. So, I fully support the conversion of the Union Workhouse to apartments and acknowledge that, in doing so, the apartments must have bathrooms and kitchens. But, there is no reason not to develop kitchens and bathrooms which are connected to and in sympathy with the overall structure – that is good quality development to ensure sustained usage. Equally, I also support the recent addition to a listed structure in the Conservation Area at Ferris Town of a very modern glass box which stylistically contrasts with the original building but does not so much impose as enhance our impression of the building – that it melding modernity and tradition. I am also a fan of the ShelterBox building in Charles Street. I tried to get its predecessor listed. I failed but it prompted all involved to strive to replace it with something of excellence. It is in my view right to try and insist upon the conservation of the spirit of a structure and the environment in which it sits – so I would not approve of plastic windows in a Georgian mansion, I find the disruption of the rhythm of Victorian terraces by a diversity of window styles tends to devalue the quality of the contribution of the terrace to the townscape; similarly plastic launders and other fittings. Of course buildings adapt and find new uses, and of course many buildings of a particular period disappear as change occurs – that is evolution. However, there is no need for valued and attractive structures to become devalued and distorted by poor design, cheap or inappropriate materials and a lack of attention to architectural principles. Lastly, I refute the assertion that I am hostile to property owners. It is an essential principle of the job I try to do that I am fair minded in reaching judgements. 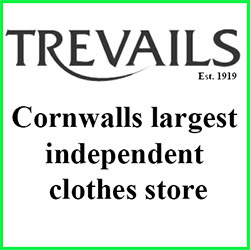 You refer to Truro as a ‘lovely city’ – it is lovely because, as a community, we demand integrity and quality, and try to ensure that the things we do enhance it, or, at least, don’t detract from it. – many property owners respond to this environment with enthusiasm and there is much good work around us. PS I have no record of you having written to me.